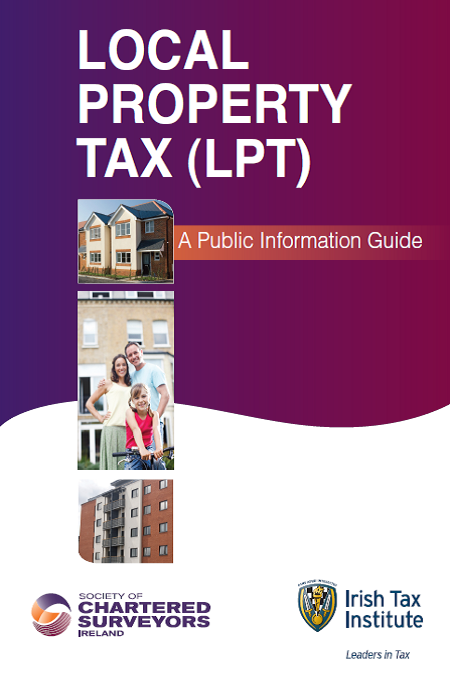 The purpose of this guide is to inform and explain key aspects of the LPT to the public. This guide is intended to provide some additional information from the perspectives of professional property valuers and taxation experts, to add to the information provided by Revenue and currently available online, and is intended to be in the public interest. What is LPT and what properties does it apply to? Arising from Budget 2013 and the Finance (Local Property Tax) Act 2012 (amended) (“the Act”), home owners are liable to an annual tax on Irish residential properties from 1 July 2013. A residential property means any building or structure which is in use as, or is suitable for use as, a dwelling. It includes any shed, outhouse, garage or other building or structure and any yard, garden or other land, appurtenant to or usually enjoyed with that building. However, any yard, garden or other land that exceeds one acre shall not be taken into account for the purposes of this definition.